Click the link to view or download the pdf The Cuteness Syndrome, Kitchie-Kitchie Koo, and Other Problems by John Holt as it appeared in MS. magazine, 1974. Click the link to view John Holt's essay, Free The Children, They Need Room To Grow, as published in Psychology Today, 1974. 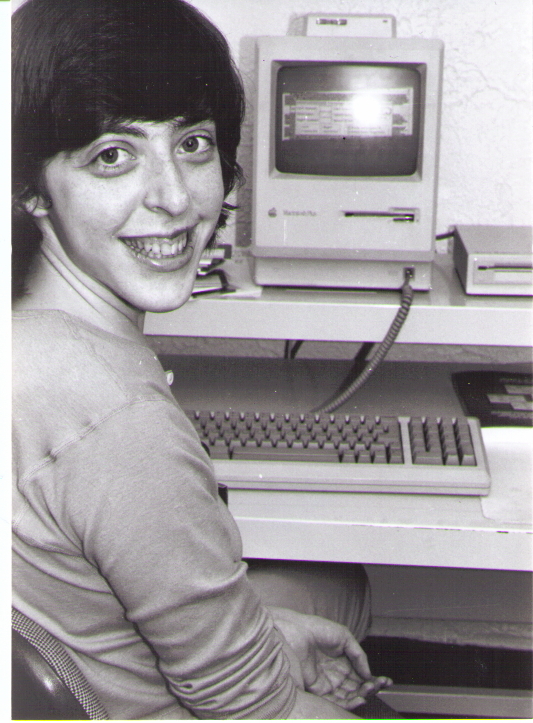 Susannah Sheffer working on our original Macintosh that created many the materials reproduced on this site. Unschooling Math, Life After Homeschooling (grown homeschoolers talk about college and finding work), and Transition from School to Homeschool. Unschooling Math is below for you to download; the others are available for sale at FUN-Books and will be posted as they go out of print. Homeschoolers and their parents share their challenges and solutions to learning math using a variety of materials and interactions—but rarely math textbooks! This useful supplement helps you lean math in more interesting, meaningful, and practical ways.